Yeah..this day, that year…7 years back on this day, I was waiting for my life to take a drastic turn, waiting for the baby to arrive in this world, for a moment when I will actually hold my baby, marking an end of nine months wait of hope and despair, fear and excitement. When finally the moment arrived, I was barely able to hear his voice and then my senses gave up due to anesthesia induced black- out- of-brain. It took me more than 12 hours to come back to my senses and hold that most precious part of my world in my arms. A moment of very strong emotions, when my mind was flooded with happiness, pride and contentment, eyes flooded with tears (ofcourse, tears of joy) and heart waiting to pour out all the love that me and my family had saved for the baby since when the journey towards motherhood began. A moment which changed out lives…. Now after all these years, I am amazed with the changes that motherhood brought in me. The daily dose of excitement, amusement, fears, joys, colic cries, nappy changes, feeding, massage and all other work that comes along with the arrival of new member in the family, surely changed me .The way I handle things, the way I felt and portrayed, my priorities in life, my likes, dislikes, everything went for a toss. Despite of many hiccups while handling a baby, life went on smoothly, each day teaching us something new, each moment making us more and more responsible for our deeds, our words, our attitude towards life. The milestones of our baby are cherished moments….the day he started giggling, the day he started recognizing family members, the day he learned to hold things in his fist, when he started rolling on his sides, crawling, weaning, sitting, walking, talking, running, going to playschool, all these and more, made us happy and proud parents. So today, on his seventh birthday when I sit back and try to re-live those moments, there is surely a sense of contentment. I had tried to be a doting and dedicated mother, but whether I had truly been one or not, only time will tell. For now, I just want to say..Happy Birthday Dear Baby…you changed our world…for better..just by being in it. Hope each one of you will join us (virtually of course) when we will sing a Happy Birthday song for the Apple of our eyes..our baby ! 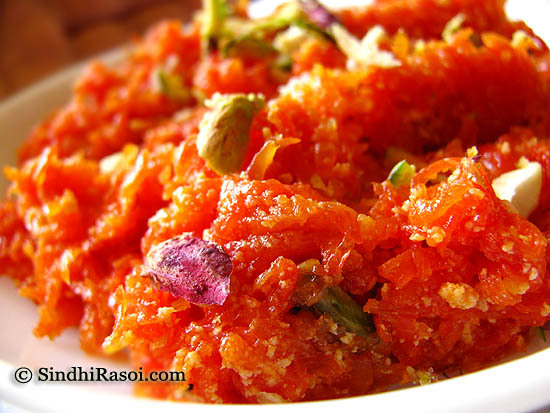 The detailed recipe of Gaajar ka halwa (carrot pudding ??) is coming up soon on Beyondcurries, so do drop in there to check out! My daughter was born, dec 3, 2007….happy birthday to your son! 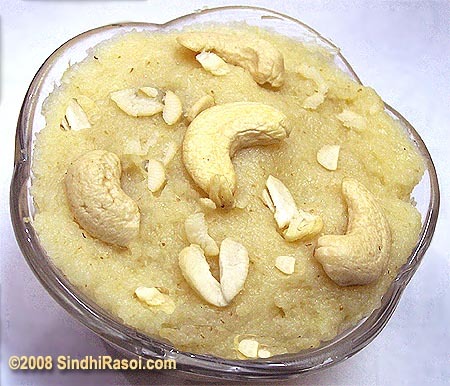 Nice post…B’day Wishes to your 7 yr. old….typical gajar ka halwa…hum…..my mom also makes it for my brother on his b’day….because he’s the only one who’s b’day fall in winter rest of us are summer babies….& in india gajar ka halwa i swinter treat….your plate looks inviting…. Alka, just read your comment in my blog. I absolutely agree with you. It’s not worth stressing out about blogging instead of enjoying it, so you and I are making a good decision about taking it easy. You can always cook for events if you are relaxed and happy. Belated Happy Birthday to you little one 🙂 Beautiful post! Hey Alka…. i just want to say that ur post made me cry… u’ve so beautifully penned down those emotions a mother feels abt her child. Reading this post made me miss my mom and dad terribly who still love me sooo much and crave to hear my voice every single moment…and so do i !!!! you write so much about your son in almost every post. do post a picture of the lil guy some day. Speaking of young ones, do create a section on the site for sindhi young ones, what are recipes that Sindhi mothers cook for their babies from infant age (sabudaana) to toddler and to the age of school. Happy Birthday to your son….God bless. Lovely heartfelt post. U r not just a gud cuk Alka….u r a gr8 writer as well. You have expressed ur emotions so beautifully..ur son’s gonna be one proud son when he grows up. Many many happy returns of the day him. What a beautiful post. happy Happy birthday to Yash! Lots of hugs. I bet he enjoyed his day with the gorgeous gajar ka halwa. I just wish they did not grow up so fast. Just what only a mother could write! 🙂 Beautiful ode from mother to son. Wishing your son a very very happy birthday…lovely post, Alka..
Wiishing you lil one a very happy bday. I totally agree motherhood is the best pahse in every womens life 🙂 Nice post, enjoyed reading every line! Many happy returns of the day to your kiddo. Heres wishing many many more to come. yep..the joy of holding the baby…aah. pure happiness! Very beautiful written..Happy Birthday to you little one. I just loved reading this post. I think I can fully relate to this post except for the black out. Happy birthday to your wonderful son. Happy birthday to your son. Beatifully written post. As you said, you son will surely enjoy this when he reads it at a later stage of his life. wishing ur son a Very Happy Birthday wishes. Really the time files soon…The pic is looking tempting . If possible do post a recipe on ur blog also as beyond curries blog dont open up here.